Tessa earned her International Championship with three BOB at the 2013 Sushine State Sieger Shows in Ocala Florida on October 26-27th, 2013. Thank you very much to the Judges : Mr. Richard W. Samide, Int-USA Judge, Ms Marcia Tucker, USA and Mrs. Diane Nachman, USA for the lovely remarks about my girl Tessa. She is the lovely daughter of Ch Oak's TuQute Bojangles and Int CH TuQutes Honky Tonk Angel CGC. Bo is the younger brother of GCH Oak's TuQute Panama Jack and litter mate to CH Oak's TuQute Sargent Pepper and CH Oak's TuQute Jomocha Latte. He was previously owned by Susan Smith Rodgers and Patricia Gilliard. Tessa went to the Greater Venice Dog Show in Tampa June 12 -13, 2014. She won 1BBE/BOB under Judge Col. Purkihiser Thur, June 12. She won 1/RWB under Judge Mrs. Murriel Purkhiser on Fri June 13. Please answer the following survey and return to Katura K's at katuraks@aol.com if you are interested in acquiring a Tibetan Spaniel from Katura K's: K's Tibetan Spaniels. Your name, address, and e-mail address/telephone number. Your type of housing (house,/apartment), yard size and fencing. Place of employment/work telephone number. A brief synopsis of how a Tibetan Spaniel would fit into your life. Are you interested in a Companion or Show Tibetan Spaniel? Why you would want a Tibetan Spaniel and any past experience you have with dogs. 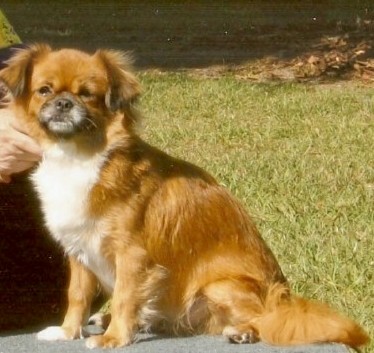 Have you ever owned a Tibetan Spaniel? If so, what was your experience with owning a Tibetan Spaniel, what happened to the dog? What research have you done about the Tibetan Spaniel regarding training, socialization, discipline, health issues, nutrition and housing. Name/telephone number of your veterinarian. Two references. Please include their name, address and telephone number. 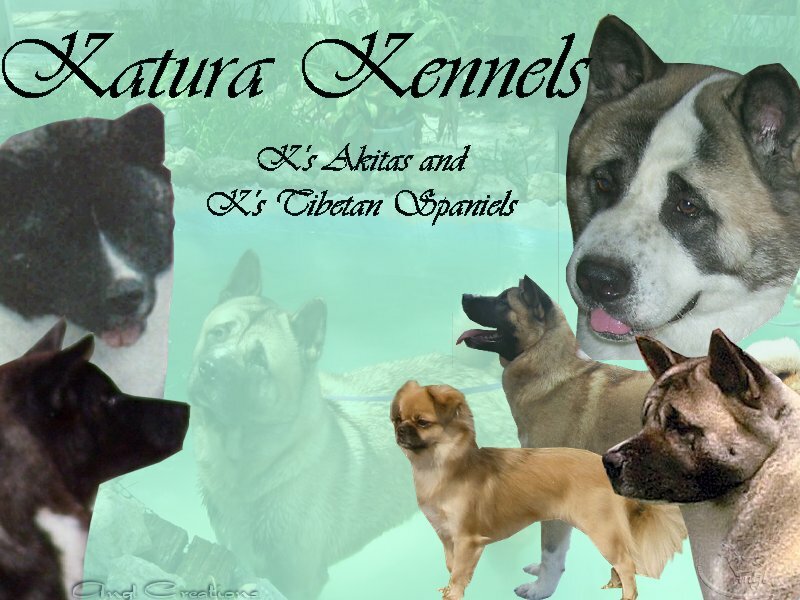 How did you learn of Katura K's: Home of K's Tibetan Spaniels? We maintain a Reserve List* for our litters. A deposit of $200 (companion) or $400 (show) and approved applicant screening is required to reserve a puppy. Deposits will be accepted after pregnancy has been confirmed by ultra sound. Contact us for pricing of our companion or show puppies at katuraks@aol.com We reserve the right to refuse a placement that is not in the best interest of our Tibetan Spaniels. Payment may be made by check, cashier's check or PayPal (fees charged by PayPal are client's responsibility and are in addition to the price of a puppy.) Please make all checks payable to Kathryn Concannon. *Reserved puppies are placed first, then qualified potential owners. Puppies are not placed until they are evaluated and determined to be either a show or companion puppy. Owner/Breeder/s reserve the right to first picks of litter. Int CH TuQute's Honky Tonk Angel CGC "Delta"
Delta wins 1/W/BW/BOS at the Greater Venice Show on October 12.2013! Thank you Judge Peggy L. Lloyd. Delta placed RWB at the Strawberry Cluster Shows in Lakeland with Sammi handling! Delta and our new "handler" Lucas placed second first time in the rings in the Jr Show Competition! Delta now has eight AKC points including a 3 point major! Seven more points to go! 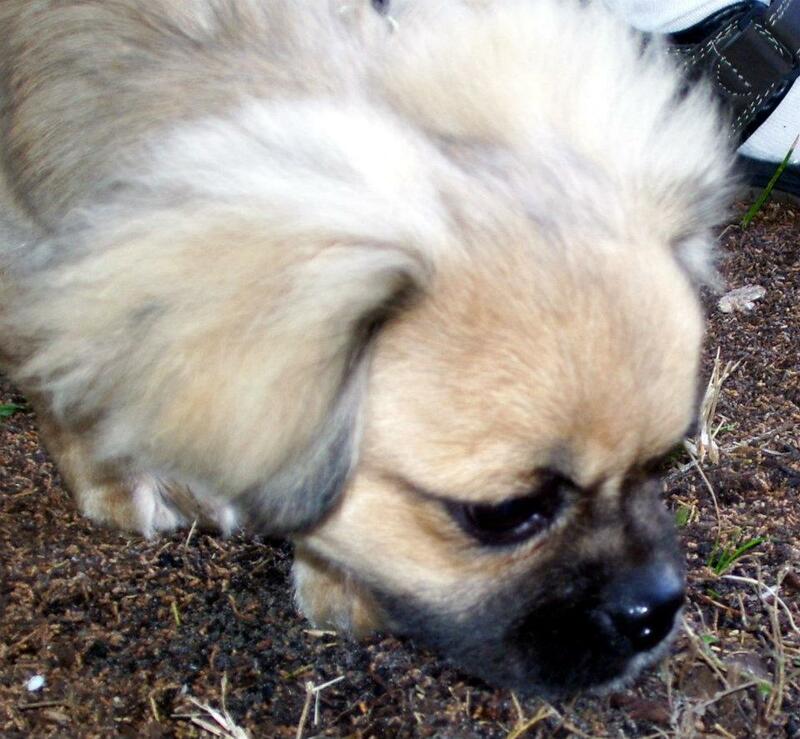 Tuqute"s Honky Tonk Angel, call name Delta, is our first Tibetan Spaniel at Katura Kennels. Delta comes to us from Karen Hand of TuQutes Tibetan Spaniels. We can't thank Karen enough for allowing this special sweetheart to come into our lives and heart. We had been looking for a long time for that special smaller dog that our granddaughter Samantha, call name Sammi, could show. Sammi has done a great job training Delta for the ring, her Canine Good Citizen Title and her International Championship! **Sammi and Delta made their show debut on May 17, 2008 at the Greater Fort Myers Dog Show. 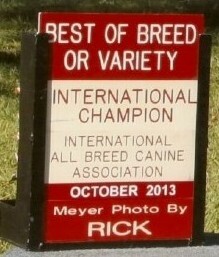 Delta won 1/W/BOB/BPY under Judge Frank Sabella! Great job girls and thank you Judge Sabella! Both girls also showed in the Jr. Handler Competition for the first time where they gained valuable experience. Copyright © 2009-2017 Kathryn Concannon. All Rights Reserved. All content and photos owned by Kathryn Concannon. PLEASE DO NOT COPY ANY MATERIAL WITHOUT PERMISSION.